A Little Time and a Keyboard: Time for Some Tiesta Tea--Review and Giveaway (Ends June 4, 2012)! 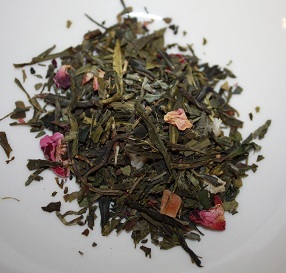 Time for Some Tiesta Tea--Review and Giveaway (Ends June 4, 2012)! We at Two Moms were very excited to recently have had the opportunity to try Tiesta Tea. Tiesta Tea combines two of our loves---tea and local businesses. Founded in Champaign, Illinois, Tiesta Tea has a very unique way of categorizing its tea blends. They divide their delicious, full flavored teas into five brands based on the tea's effects on you. With brands named Energizer, Relaxer, Immunity, Slenderizer, and Forever Young, it is super easy to distinguish the benefits of each tea. The founders of Tiesta Tea were first inspired by a flavorful fruit tea called Granny's Garden that they discovered while in the Czech Republic. After tasting it, they thought that they need to bring this type of tea to America. We are glad that they did! Tiesta's blends are unique and flavorful. When you open a tin, you will see the quality ingredients and their aromas will inspire you to brew yourself a cup. Three of the teas that stand out to me are the Fireberry (very fruity and sippable), Gojiberry Superfruit (full of antioxidants and really energizing), and the Creme au Chocolat (creamy, chocolatey goodness). Kat is a big fan of the Nutty Almond Cream (with a warm apple, cinnamon, and nutty taste). She loves it so much that she has already gone out and replenished her stock! Kat also loved the Fireberry--which she whipped up into an iced tea. With a little rock sugar, it made for the perfect fruity beverage for a hot day! Definitely take a look at all of Tiesta Tea's flavors! Guess what--Tiesta Tea was kind enough to also give us 3 tins of their tea to give away! The tea is packaged in one of their award winning tins, which provide a great way to store tea and keep it fresh. We will be giving away a tin of Fruity Pebbles tea from the Slenderizer brand, Fireberry from the Immunity brand, and Gojiberry Superfruit from the Forever Young brand. Three lucky people will win one tin (randomly chosen) of Tiesta Tea! I know a lot of you like to enjoy a cup of tea to have a little something special for yourselves. Fill out our raffle below and maybe you will win yourself a tin of Tiesta Tea! **Disclosure: Two Moms was given products from the company in order to make a fair review. Opinions on this page are 100% our own. Awesome, would love to win, I love tea! Love tea,,, love smaller businesses,,,, I had to stop by and read your review! Please come see me over at Cave Princess! I'd say Relaxer would be good for me. Thanks for the giveaway! I like the sound of the Banana Split energizer. The Chai Love tea suits me best! I think I would like the Banana Split rooibos! I love making fruity ice tea during the summertime so the Fireberry from the Immunity brand sound good to me. the Creme au Chocola sounds great! I'd like to try the slenderizer! The Banana Split sounds awesome! The Nutty Almond Cream sounds great to me. I became a GFC follower. I would like to try the fruity pebble flavor! I'd love to try the Chinese Jasmine Pearl! I would love to try the Caribbean Kiwi, for starters! Mmmm the Chai Love tea! Of the three offered, the Gojiberry! Hey guys, I just wanted to thank you all for the support! I am one of the co-founders of Tiesta Tea and I am so glad to see people enjoying our tea! We take a lot of pride in mixing exotic blends together and creating flavors nobody thought possible! Good luck everyone! If you have any questions about anything on our site, shoot us a Tweet @TiestaTea! Thanks Again!